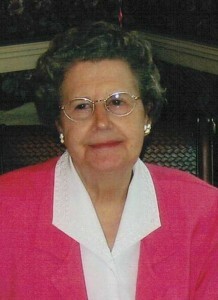 Marilyn Jean LeBaron Stanton, 83, of Russell, currently of Golden Living Center, Warren, PA. died Wednesday, December 21, 2011. Marilyn was born March 29, 1928 in Gerry, N.Y., daughter of the late George and Mabel Fargo LeBaron. She was a 1944 graduate of Cassadaga Valley High School. She was a lifelong resident of Russell, she was the wife of John Henry Stanton whom she married September 21, 1946. Known throughout the area for her beautiful singing voice, she had been a member of the Russell United Methodist Church choir for 45 years, also singing with the Calvary Singers for 13 years traveling in the tri-state area sharing her love of the Lord through music. Marilyn was a talented musician and that talent along with her love for music was passed down to her children, grandchildren and great grandchildren. She attended Praise! Fellowship of Russell. Besides her parents, she was preceded in death by her sisters, Evelyn Camfield, Sherleigh Westley, Frances Bower, a brother G. Marvin LeBaron and a great granddaughter, Kayla Grace Zwald. She is survived by her husband, John Henry Stanton, a sister Joan Imm of Port Charlotte, FL, daughter Trudy Haight of Russell, PA., 2 sons, Bradley Stanton and wife, Annette of Russell, PA., Dean Stanton and wife, Maria of Warren, PA., 5 Grandchildren, 5 Step Grandchildren, 4 Great Grandchildren and 6 Step Great Grandchildren, several nieces and nephews. Friends may call at the Donald E. Lewis Funeral Home, Inc., 304 East Street, Warren, PA. on Monday, December 26, 2011 from 2 to4 and 6 to 8 P.M. A funeral service for Mrs. Stanton will be held Tuesday at 11:00 A.M. at Praise! Fellowship of Russell with Richard Rohlin, Pastor and Trudy Haight , former pastor, officiating. Interment will be in Pine Grove Cemetery, Russell, PA.
Brad, Dean and your family…. I am so saddened to hear of your mom’s passing. I always enjoyed talking to her when we were in high school. I was saddened to hear of your mom’s passing, but rejoice that another saint has joined the heavenly choir. May God’s comfort surround you as you go through this time of mourning.